Your favorites may be gone, but that doesn't mean you have to forget them! Remember the greats with this black and white (and red!) series of Walking Dead characters that are no longer with us. Each stylized vinyl figure measures 2 1/2-inches tall and comes packaged in blind boxes. Collect them all! Ages 3 and up. 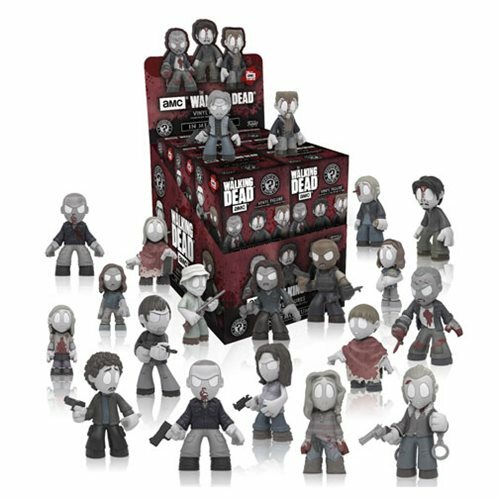 The Walking Dead In Memoriam Mystery Minis Series 5 Display Case includes 12 individually blind boxed mini-figures.